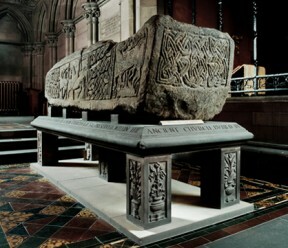 Come and discover our unique collection of early medieval carved stones. Getting to Govan is easy! 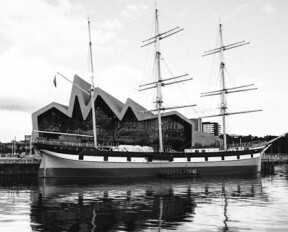 Govan is easily accessible from elsewhere in Glasgow and also has good transport links with the rest of Scotland. A number of buses pass through central Govan including the numbers 23, 34, 49, 90, 121 and 189. For full route & timetable information check with the local bus companies. 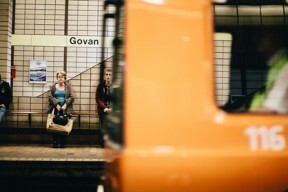 Govan is on the Underground network and very easy to reach by this means – only 2 minutes from Partick, 5 minutes from the West End and 10 minutes from the City Centre. If you are visiting from elsewhere in Scotland or the UK you will arrive by rail in either Glasgow Queen Street or Central Station. 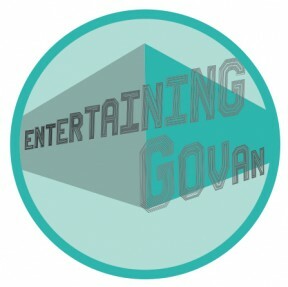 The easiest way to carry on to Govan is to take the Underground from Buchanan Street Underground Station. 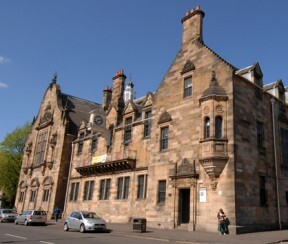 Govan is easily accessible by car from the M8, M74 and M77. Leave the motorway at the relevant junction and follow the signs for Govan! If you are visiting from the West End you will arrive through the Clyde Tunnel, or via the Squinty Bridge from the City Centre. 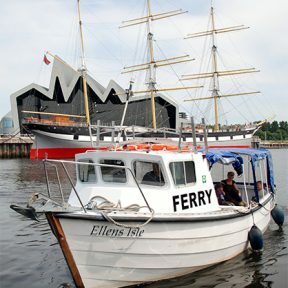 From June and through the summer you can use the Govan Ferry to cross from Govan to the Riverside Museum and Partick. 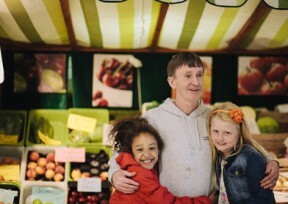 The free shuttle service runs every day 8am to 6pm Monday to Friday and 9.45am to 5.30pm on Saturday and Sundays. The ferry terminal is at the pontoon at the bottom of Water Row at Harland Way, directly opposite the museum.